The team is still waiting at Rothera for weather to clear up. 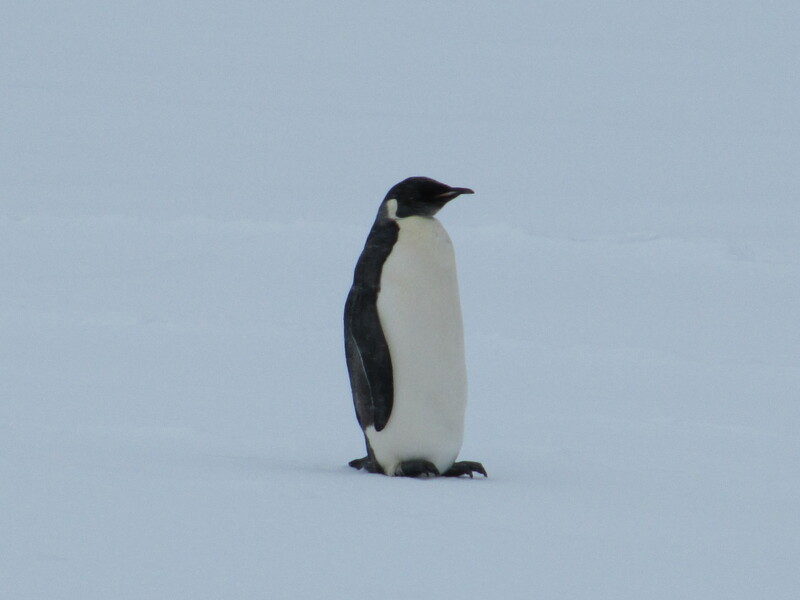 In the meantime, Jenn’s roommate at base shares a photo of the lone Emperor Penguin that waddled up toward Rothera yesterday. When I was thinking about the timing on this trip to the Peninsula, I imagined us sitting in the Rothera bar by this time, telling tall tales about the big snow pit we had dug. With every beer the pit would get a bit deeper, and the weather a bit nastier, but us Antarctic explorers prevailed, rescuing the AMIGOS and pushing the frontiers of science by another nanometer. Instead we are still waiting to get off the ground. The daily routine is pretty repetitive. Ted gets up in the morning and looks out the window. “It looks a bit better today”. That means you can see the next building now. Full of hope for what this day will bring we drag ourselves to breakfast. Ted sometimes joins the morning weather briefing, where decisions about the day’s flights are made. I see him come into the breakfast room with the look of a rejected suitor, and no more questions need to be asked. Jenn is trying to be productive and make the best of the situation. She regularly talks to school kids back home, so she decided to go around and figure out what various people do on base. She got us a guided tour to the marine lab yesterday, which was pretty cool. They have an aquarium with a variety of sea spiders, clams, sea stars, etc. Mostly they look at the impact of climate change, and how these guys react to warming water. They have nice laboratory facilities for dissecting, cooking or whatever else biologists subject their critters to. The most amazing thing though is that they have a regular year-round diving program, which comes with its special challenges in the icy water. Yesterday we had a visitor. A lonely Emperor Penguin showed up. It’s the largest of the penguins, and they don’t usually make it to Rothera. Apparently they get one or two a year, so people are excited. Penguins are just always a lot of fun to watch. 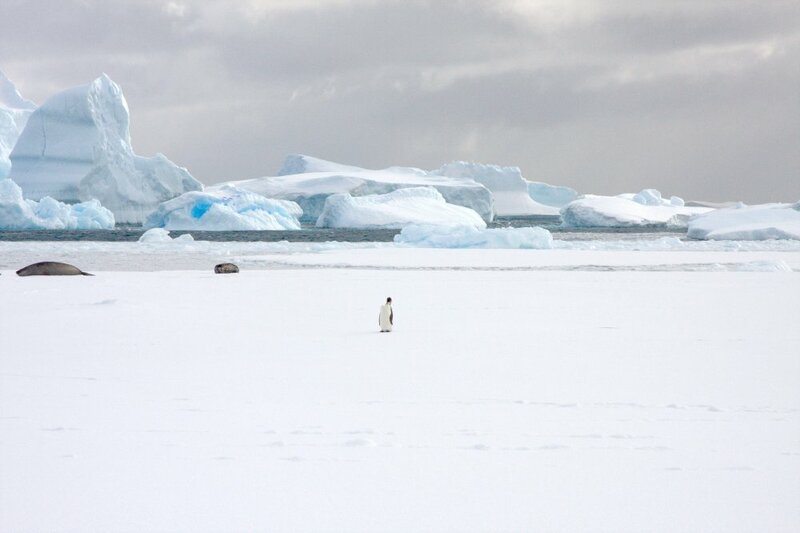 A lone Emperor Penguin pays a visit to Rothera Station. Photo courtesy Martin Truffer.